10 ml plastic dropper bottle. Identification: light yellow to brown liquid with a peculiar odour. Composition: Bacteria Bacillus amyloliquefaciens strain VKPM V-10642 (DSM 24614); their metabolic products and excipients. 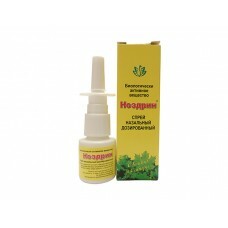 The recommended dosage is 2-3 drops in every nostril, 4-6 times a day within 2-4 weeks. During the period of acute upper respiratory infectious diseases (spring, autumn) including influenza and adenovirus- associated epidemic, the dosage frequency should be increased up to 6-8 times a day. The healing treatment of mucous membrane of the nose is recommended repeating every two months. The nasal drops do not cause habituation. Shelf life is 2 years after the date of manufacture. Do not use after the expiry date. 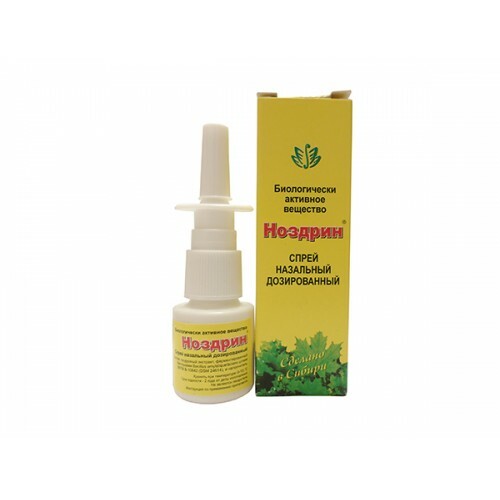 After opening a dropper bottle, the nasal drops should be used within 10 days. It is available without a prescription. Nozdrin is not a medicinal preparation.